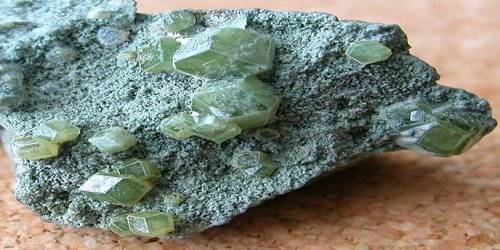 Adamantine is a mineral, often referred to as adamantine spar. It is a silky brown form of corundum. It has a Mohs rating of 9. It comes from the Greek and Latin word Adamas which applied to substances having the hardness or luster of a diamond. Adamantine figuratively means unyielding and inflexible. IIt is also used as an adjective to refer to non-metallic, brilliant light reflecting and transmitting properties, known as adamantine luster. Diamond is the best-known material to be described as having adamantine luster, although anglesite, cerussite, and corundum in some of its forms are also described in this way. Some transparent minerals with very high indices of refraction have a non-metallic, brilliant manner of reflecting and transmitting light called an adamantine luster. Diamond is the best known adamantine mineral, and its coveted sparkle is an example of this type of non-metallic luster. A diamond’s internal structure of covalently-bound carbon atoms in a three-dimensional matrix causes incident light to refract deeply into the crystal, giving the crystal its characteristic clarity. The isometric, or three-dimensionally symmetrical, crystal structure of diamond also causes light to disperse within the mineral giving cut diamonds their spectral “fire.” The synthetic diamond substitute, cubic zirconium, or CZ, has an adamantine luster due to its high index of refraction, but its dispersion, though relatively high, leaves this copy without the fire of the real diamond. Non-metallic minerals with tightly bound, tightly packed atoms in a strong three-dimensional crystal lattice are more likely to have a high index of refraction. They are also more likely to be very hard and to have an adamantine luster. 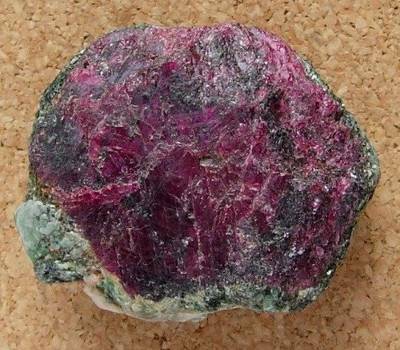 The mineral corundum, whose colored varieties include the gemstones ruby and sapphire, has a hardness of nine on the Moh’s scale and a vitreous to adamantine luster. The lead carbonate mineral, cerussite, and lead sulfate mineral, anglesite, also have adamantine lusters.